Casino Room is not accepting Australian players for the time being. We suggest looking at Spin Palace, our #1 rated casino. If you are as excited about the prospect of completing daily missions and rising to the top of leaderboard competitions as you are to be able to choose from hundreds of online or mobile games, this is the casino for you! Casino Room is a standalone casino gambling site developed and managed by Ellmount Gaming, Ltd. It was first launched in 2005, but relaunched in 2011 with a new emphasis on the social aspects of gambling. Continuing with the out of this world theme, the online experience you are about to embark on is likened to being in orbit. The object is to heed the directions received from Ground Control and Mission Control so, hopefully, you can reach the next “planet” (loyalty level), where a bigger and better reward awaits you. What exactly that reward might be is a mystery. It could be free spins, a bonus offer, or even cash. We find equating spinning a pokie machine to being on an “intergalactic adventure” a bit of a stretch, but maybe not if you hit a big jackpot. In any case, we heartily agree that the added incentive of knowing that win or lose, you can “unlock” extra rewards can add immeasurably to the fun and excitement. CasinoRoom.com, which is owned and operated by Ellmount Gambling, Ltd., holds three separate licenses, one from the Malta Gaming Authority, one from the Gambling Commission of Great Britain, and one from the Government of Curacao. So you have triple assurance that this is a properly licensed and regulated casino and a safe place to play online. Furthermore, the people behind Casino Room at Ellmount Gambling, Ltd. have an extensive background in online gambling, dating all the way back to the md-1990s when Internet gambling was still in its infancy. Casino Room was founded in 2005, but the version you will find now has little resemblance to the original site, which in 2011 underwent a major overhaul. The new CasinoRoom.com is also very different from most other online casinos. For starters, there is no CasinoRoom.com download to worry about. You can choose from two convenient ways of playing: the CasinoRoom.com flash version for instant play, which you can access online using any browser (Windows, Mac, or Linux), or the CasinoRoom.com mobile casino, which can also be accessed instantly. Either way, you can enjoy the flexibility of not being tied down to your own home computer, and you also get to enjoy a huge number of games. For inexperienced players, the sheer number of games and lack of descriptive info might be overwhelming. Another important difference between CasinoRoom.com and most online casinos is in the way players are rewarded. Casino Room dispenses with the traditional comp point based tiered loyalty rewards program entirely, in favour of the kinds of incentives associated with video games and social gaming. Therefore, if you are an old school gambler and prefer the traditional system of comp points which you can accumulate and redeem for cash, you might feel out of your element at this casino. As for residents of the U.S., it really doesn’t matter whether Casino Room, the online casino, is a place they would like to try out since they are not allowed to play there. But Aussies are welcome. So if part of the fun and excitement of online gambling for you is seeing your name at the top of a leaderboard or winning a trophy after successfully accomplishing a challenging “mission,” what are you waiting for? Casino Room could turn out to be your favourite online casino! One feature which every online casino player wants is the Welcome Bonus, so you will be happy to know that CasinoRoom.com Online Casino has it. But at CasinoRoom.com, every new real money player signing up with the site gets something extra: 200 free spins! Here are the basics that you need to know about the Casino Room Welcome Bonus. Both the Welcome Bonus and free spins are available to Casino Room mobile players as well as online players. Click on “Bonus Games” to see what games are accepted and how much they count. Most bonuses of this type allow pokies and srcatchies at 100% and may or may not allow certain other games, with those counting less. Double check with the casino to know for sure. The bonus balance can be played only after the cash balance is used up. Our review shows that the 45x bonus wagering requirement is unusual. However, it is about average for those online casinos that use just the bonus and not the bonus + deposit to determine the playthrough requirement, with some casinos specifying 40x and others 50x the bonus. If you accept the maximum bonus of $600, you will have to put a total of $27,000 in play, so if that seems like too much for you, simply deposit less than the maximum and take a smaller bonus. As soon as all of the wagering requirements have been met, the bonus, your deposit, and any associated winnings are yours to keep. Just for registering, even before you make a deposit, you receive 20 free spins on Starburst to welcome you to Casino Room. However, you do have a 45x playthrough on any winnings before you can collect them. So you will probably want to go ahead and make a deposit, at which point you become eligible not only for the big Welcome Bonus described above, but more free spins! As soon as you make your first deposit, you receive 20 additional spins on Starburst, which must be taken the same day. Then you will receive 20 more daily free spins on Starburst for the next eight days, too. That adds up to a whopping total of 200 free spins! It is important to note that the same terms and conditions apply each time: you must claim the free spins within 24 hours and any winnings are subject to a 45x playthrough prior to cashout. However, the information on the website does not specify whether there is a certain maximum to what you can win on the free spins. Also, it is not clear whether the 45x playthrough is also restricted to Starburst and whether it must be completed in 24 hours or if you have 30 days like with the Welcome Bonus. The more you play at Casino Room, the more you are rewarded. However, those rewards come in different forms than what you are probably accustomed to receiving in other online casinos. The loyalty rewards points you earn at Casino Room are called Experience Points (XPs). But, unlike comparable points earned at most online casinos, XPs cannot be exchanged for cash or casino credits. You earn them not just by playing, but by virtually everything you do on the site. For example, every time you log on, make a deposit, or open a new game, you add to your XP total. You can also earn points by completing missions issued from “Mission Control.” Every completed mission rewards you with additional XPs. So you are encouraged to check with Mission Control daily to find out the next mission to be completed. Thus, one day’s mission might be 10 spins on a particular game, while another day’s mission might be to win five rounds on a particular game. Each completed mission is announced on the website for all to see and also brings you another step closer to the next “planet” on your “intergalactic journey.” This is important because each planet contains a new and bigger award that you can access on arrival, including such varied prizes as free spins, freeload and reload offers, and direct cash. Another great way to gain bragging rights at this casino is with the daily, weekly, and monthly leaderboards. The figures are updated every minute. Prior to today, the No. 1 spot for the week and month belonged to a player whose winnings topped $44,000, but no more. Today another player won over $92,000! Do you think you can top those totals? There is only one way to find out. See the www.casinoroom.com for more information. Play at Spin Palace Now! The Casino Room games are not specifically Australian, but with over 800 exciting games to choose from, including hundreds of pokies, how can you go wrong? If you have any problem at all, it will be trying to decide what to play first. We would have liked to see more descriptive information on the website, not only for the pokies but also for table games like roulette and blackjack which come in many varieties. Another important piece of information that is missing from the website is recent independent documentation of average game payouts. However, in this Casino Room review, we give this site high marks for offering a choice of playing either for free or for real money on every game. Typically, the option to test the waters for free before committing to real money is not offered on progressive jackpot games and live dealer games, but at Casino Room, it is. Considering the enormous selection of games available to you, we applaud this casino’s decision to let players try before they buy. Jackpot games: There are 22 in all, and at any given time, you can see the value of the top jackpot on each. As of this writing, several jackpots are well over a million dollars. Every week, new games are added, giving you an even bigger choice. Even if you play every day, if you want to try something different, you will never run out of possibilities and you will never be bored. Variety is the name of the game, not just for pokies, but for all of the Casino Room games. For example, blackjack players can choose from American or European Blackjack, Classic Blackjack Gold, Atlantic City Blackjack Gold, and Premier Blackjack (High Streak or Multihand), just to name some of the possibilities. In addition to standard American Roulette (not recommended because of the double zero on the wheel), roulette players can opt for European Roulette Gold, French Roulette, Premier Roulette, or Zoom Roulette. Alternatively, in keeping with this casino’s theme of “out of this world” excitement, take your table game play to the next level with live dealer blackjack, roulette, or baccarat. You definitely won’t feel like you are seated at your computer, and while live dealer games are supposed to make you feel like you are playing instead in a real casino, we are not sure about that either. The Casino Room experience is unique and no more like playing at an ordinary brick and mortar casino than at a typical online casino. Nowadays it is practically imperative for an online casino to offer a mobile platform. With today’s lifestyle frequently mandating being on the go, for many players it is the only practical option. Even if your primary mode of playing is on the computer, there may be times when you would like to play but computer access isn’t readily available. But no worries if you are playing at Casino Room.com. This casino has you covered wherever you are, and what is especially nice is that mobile players don’t have to settle for being restricted to just a handful of games (which is often the case at other mobile casinos). Casino Room mobile players don’t have access to every game, but to most of them. Another great feature is that just like when you are playing on the computer, there is nothing to download. You don’t have to go to the App Store or Google Play searching for the particular app that will work (you hope) when you download it. As long as your device is browser supported, the Casino Room mobile app should work for virtually any game you wish to play. The only negative to the mobile casino is that you have to open up a separate account for it. You cannot switch back and forth between computer play and mobile play on the same account. Crossplay: No: If you wish to play both on your computer and on your mobile device, you will need two separate accounts. Casino Room mobile players receive the same Welcome Bonus and free spins offer as computer players. All you have to do to get started is log onto www.casinoroom.com/mobile/. Unfortunately, regardless of whether or not you have already set up a computer account with CasinoRoom.com, you will need to set up a separate mobile account before you can start playing on your smartphone or tablet. If you have not already claimed your Welcome Bonus and free spins online, you can definitely do so upon registering and making your first deposit on your mobile device. Don’t expect to be able to claim the Welcome Bonus twice, though, if you have already received it. As soon as you are registered with a real money mobile account, you can start playing on the go on virtually any device. Since no CasinoRoom.com/mobile download is necessary, you don’t even need any apps to access your favourite games. Simply browse through the possibilities and the use the browser on your smartphone or tablet to click on whatever game you wish to play next. In addition to all currently used iOS devices (iPhones and iPads) and Android devices, the Casino Room mobile casino is playable on virtually any other browser-based device, including Kindle, Windows, and more. In other words, wherever you happen to be and whatever smartphone or tablet you own, playing on CasinoRoom.com/mobile should not be a problem. However, if you need help or have any questions, Customer Service is available to assist you 24/7. For your added convenience, AUD is accepted as currency. Withdrawal processing time varies with the method. The website lists the approximate time periods as four business days for credit card withdrawals, five business days for bank transfers, and 48 hours or less for ewallets. CasinoRoom.com is a secure site. Regardless of which banking method you select, all of your financial transactions are fully protected. 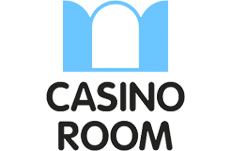 As an international online casino destination, CasinoRoom.com supports a variety of languages, including English, Finnish, German, Japanese, Norwegian, Portuguese, Russian, Spanish, Swedish, and Turkish. Customer Support is available 24/7 to assist you with any player concern via your choice of live chat, phone, Skype, or email.